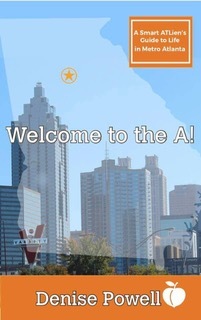 Are you trying to decide if moving to Atlanta is the right move for you? Learn the five questions you must ask and get the answer to before moving. Have you already decided to move? Get quick access to the resources you need to get moved in. Are you already an ATLien? Find more fun and opportunities for FREE and cheap, and learn take steps to becoming a part of Atlanta life and leadership. Your experience reading Welcome to the A! and exploring what you learn about the great city of Atlanta will be eye-opening, inspiring, and if you’re not careful, life changing.